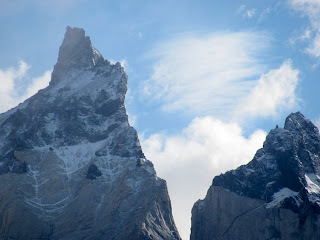 Two of the Cuernos del Paine ("Horns of Paine") from the catamaran crossing Lago Pehoe. 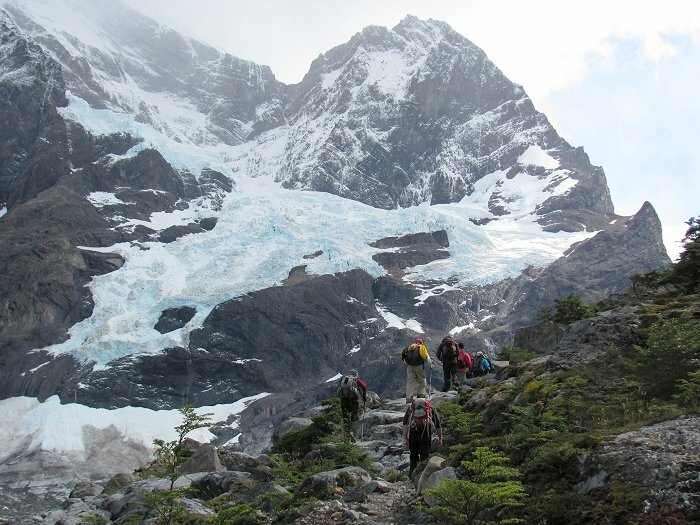 The trail to the French Valley starts from the Lodge Paine Grande area. 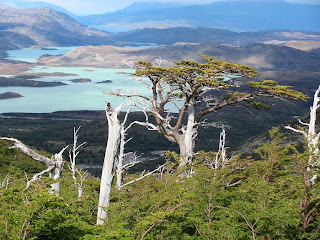 Shortly after the start of the hike, this picturesque tree silhouetted against the turquoise waters of Lago Pehoe. 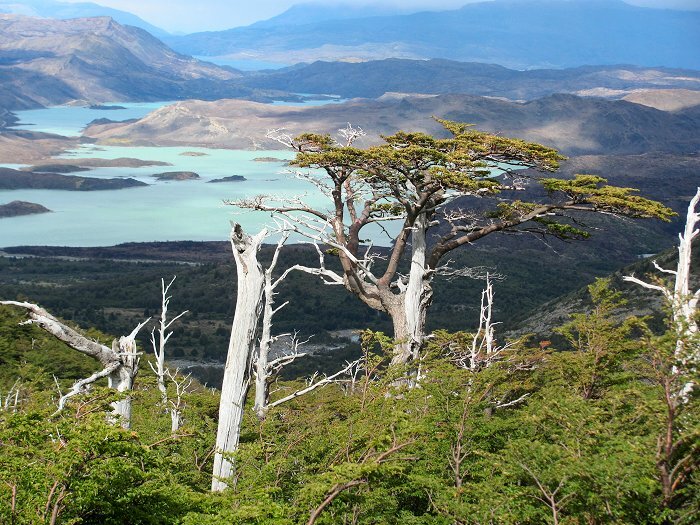 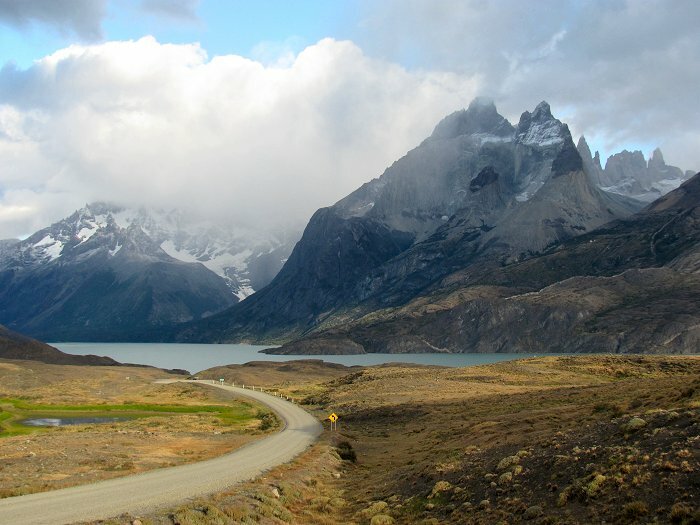 A devastating fire swept through Torres del Paine National Park this past January, but already the area is recovering. 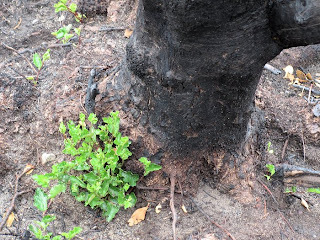 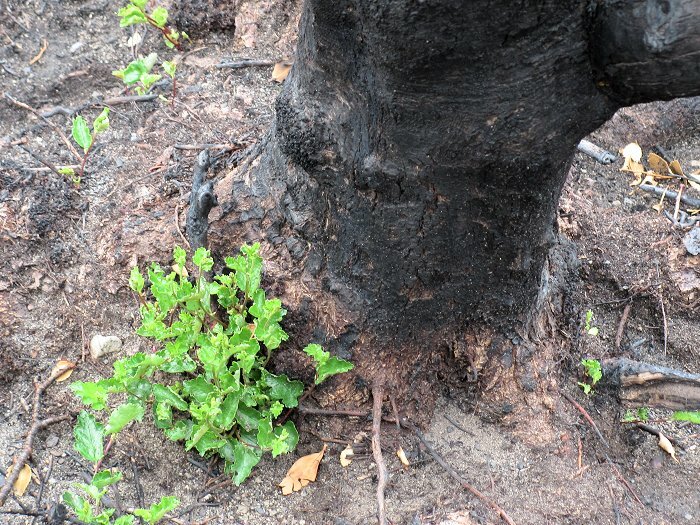 We were happy to see new growth sprouting from the base of charred lenga (southern beech) trees. 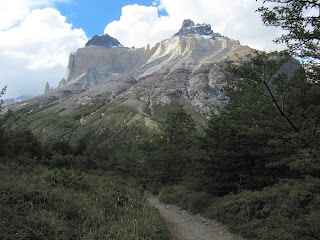 Hiking from Campamento Italiano ("Italian Camp") toward the Mirador Frances. 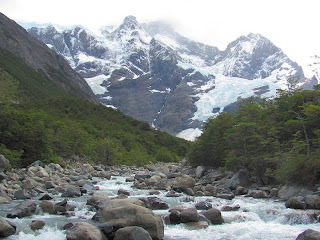 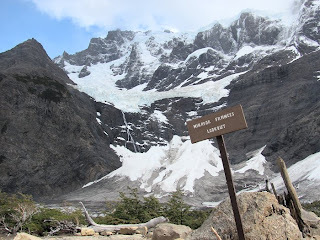 The French Glacier clings to the massive bulk of the Paine Grande mountain. Looking toward Lago Pehoe from the Mirador Frances. 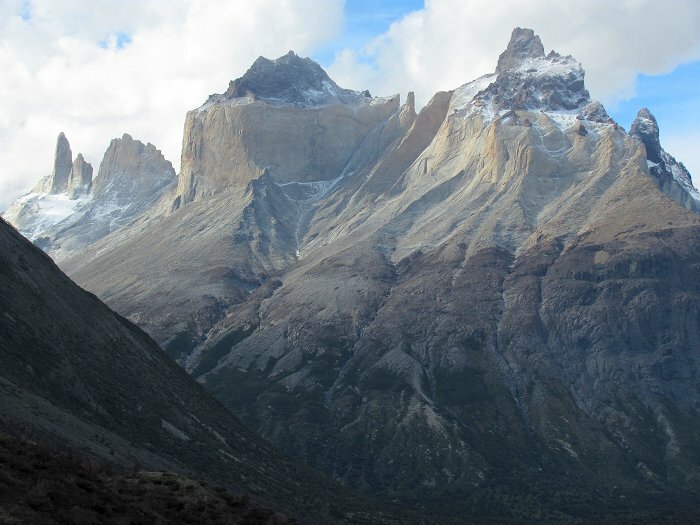 The walls of Paine Grande from Mirador Frances. The Rio Frances from Campamento Italiano. 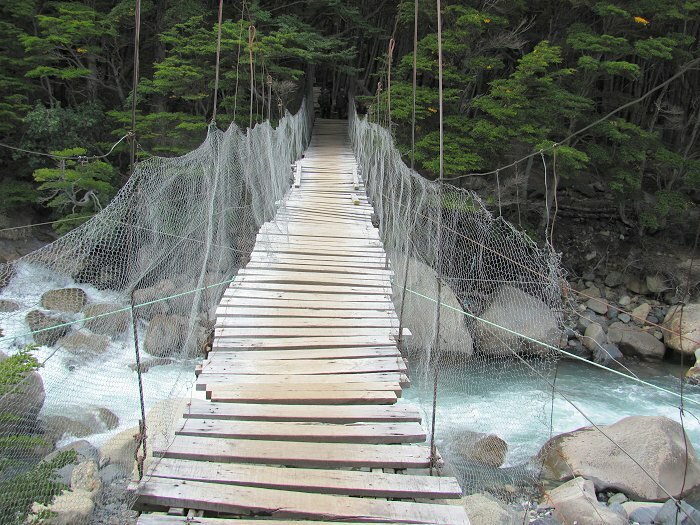 The swinging bridge crossing the Rio Frances from Campamento Italiano. A view of the North Horn (left) and the Principal Horn (right) from the trail heading back to Lago Pehoe. 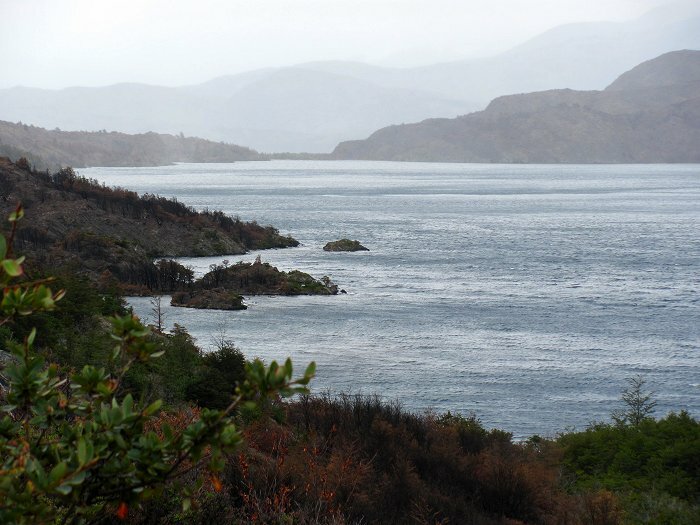 Windswept Lago Skottsberg. Powerful winds churned up the waters of the lake creating a mist over the lake surface and small whirlwinds (like dust devils) danced across the waters. 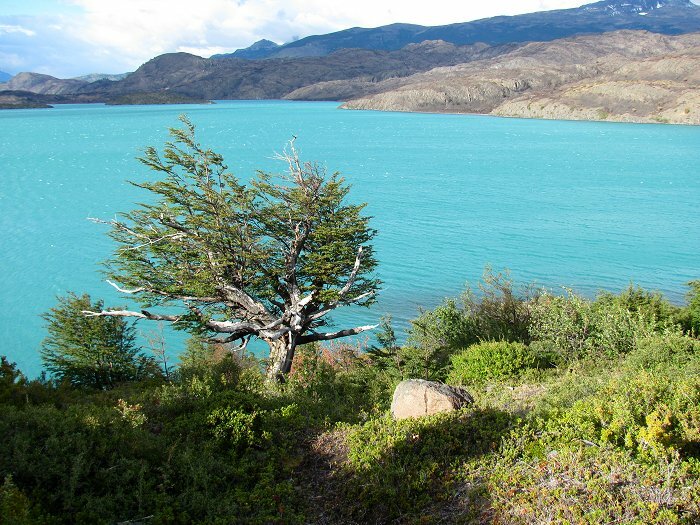 Every time I've walked by Lago Skottsberg, I've been privileged to see this phenomenon. 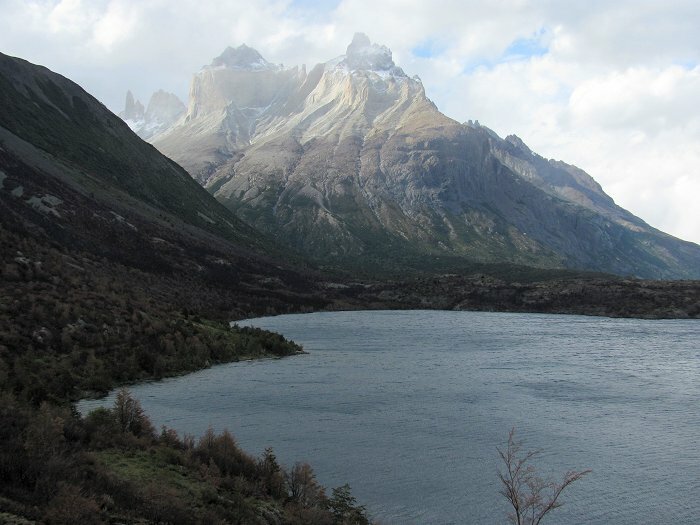 A view of the Cuernos del Paine rising over Lago Skottsberg. 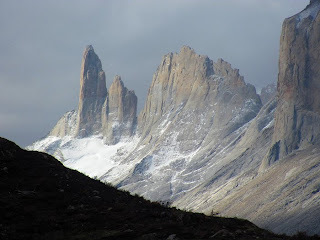 Afternoon sunlight on the flanks of the Cuernos del Paine. The peaks of Espada ("sword") and Hoja ("leaf") in the French Valley. Paine Grande (in the clouds) and the Cuernos del Paine rising over Lago Nordenskjold.